I'm a full-time mummy | Book Review - Show Me How! Book Review - Show Me How! "A must-have resource for busy parents and teachers, Show Me How! pinpoints 100 picture books every young child should hear and provides a story summary, gentle parenting tip, easy eco-friendly craft project and simple child-friendly healthful recipe for each recommended title. The fun-filled educational activities help parents gain confidence in their own parenting skills while building self-esteem, developing pre-literacy skills and strengthening the parent-child connection. Lined spaces on every other page allow parents to utilize this guide as a memory book to record their children's highlights. 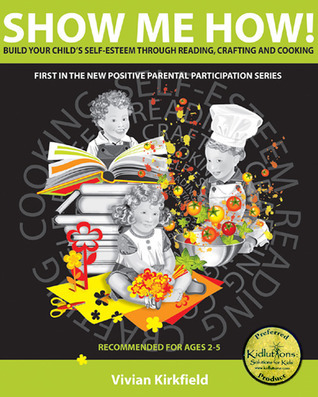 Library Journal loved the tri-level format of reading, crafting and cooking and so will every parent and teacher who uses this award-winning book. " This book comes packed with stories you can use or refer to with your child and there are points and notes given on how the stories can be used to nurture your child's self-esteem, moral values and build up their confidence. On the opposite side of the page there are accompanying crafts and recipes you can try out with your child as well. The following day after I started reading this book, I came across a recipe for German butter cookies shared by a fellow SAHM friend in a SAHM Facebook group I joined in and decided to try this out with my boy. I got him to help me out with the mixing sugar and butter part and then gently coached him to make soft indent on the cookie dough so that there are stripes on each cookies surface. He was so excited to be able to take part in the cookie making session! Ever since we did the German butter cookie session, I have been looking for more child-friendly recipes that I can try out with my boy so that I can get him to help (boost his confidence as well that he is big boy enough to help mummy out in the kitchen!) so I'm very happy to share that there are tons of child-friendly recipes that you can try in this book! I do however would like to recommend that future revision or updates on this book to include pictures or illustrations of the end results of the crafts and recipes so that we can have a better idea on how they look like. Overall, this is a wonderful book packed with stories, crafts and recipes that will definitely help you and your child as you journey along in building their confidence, self-esteem and at the same time guiding us as the parents on how to nurture our child to be an independent individual. Highly recommended, do get a copy of this book for yourself too!! You can get this book from Amazon . Yes! I'll be giving away 2 copies of this book on my blog! Now, 1 copy which I have been given along with my review copy will go to a lucky winner in Peninsular Malaysia while another copy which the author will send personally will go to a lucky US winner! OK then, just read below for the giveaway terms and entry form, OK? You have 1 month time from now to join in the fun and try your luck! I received no monetary compensation for this review, I was provided with a copy of the book in order to facilitate my review. All opinions expressed in this post are my own. Please do your own research when purchasing products, as your opinions may differ from mine. And if you'd like to read my previous book reviews, you can do so by reading this post of mine called "My Book Reviews"
Question 1: Where are you from? Malaysia or US? Question 2: What’s your favorite activity that you like to do with your child? 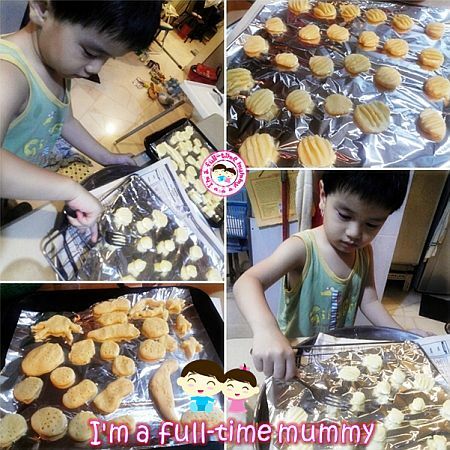 My child love the kitchen, therefore we always end up in the kitchen baking or cooking.. she is now into the stage that she helped to pour flour and observe butter creaming.. Question 2: I love doing art and craft with my kids, using recycling stuffs.. I'm from Malaysia, I love eating with my gal, exploring varieties of food! Question 2: What’s your favorite activity that you like to do with your child? My girl loves to play masak-masak and so I would love to get her more engaged in the kitchen. Baking seems to be the perfect activity that we can both enjoy! I'm from USA and I love taking nature walks with my son. I am from the US and love to do anything with my kids but we have a lot of fun going ghost hunting and studying the paranormal! I'm from the US. We love to cook, read and dance together! I am from the US we like to read books and I am just starting to try board games with him. My favorite thing to do is camp with my daughter. My favorite activity to do with my daughter is baking. I am from the US and our favorite activity is finger painting! I am from the USA. I love to bake with my daughter. 2. we love to cook, play sports and ride bicycles together! 2. We love to color pictures for the refrigerator. I am from the US. We love to do arts and crafts as a family. i am from the US and i love to bake with my children! I'm from the US and we love to do jigsaw puzzles with our kids and play board games. Thank you for the opportunity to win. Winners selected and emailed! Reply me in 48 hrs else I will choose new winner! Congrats and thanks to the rest for participating!